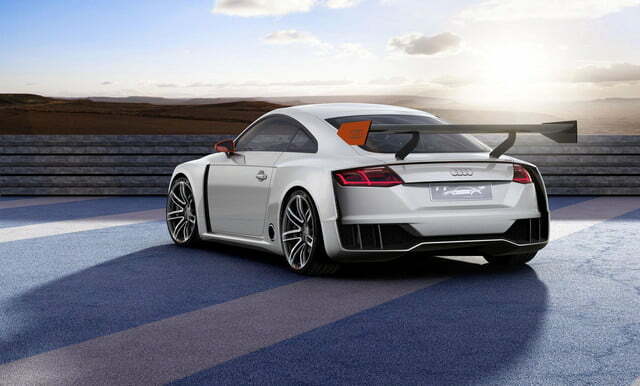 Audi will trek out to the annual Wörthersee show that will kick off next week in Austria to show a brand new concept called TT clubsport turbo technology. 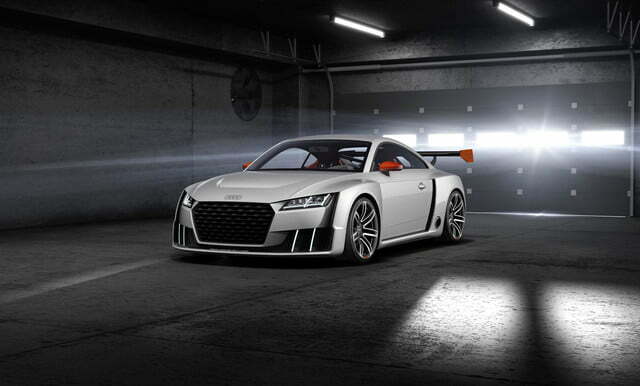 The clubsport turbo technology concept is one of the most muscular-looking TTs Audi has ever built, and it packs a heavy punch to back up its looks. Power for the coupe comes from a 2.5-liter five-cylinder TFSI engine that uses two large electric turbochargers to make 600 horsepower – roughly twice the output of a 2016 TTS – and 479 foot-pounds of torque from 3,000 all the way to 7,000 rpm. 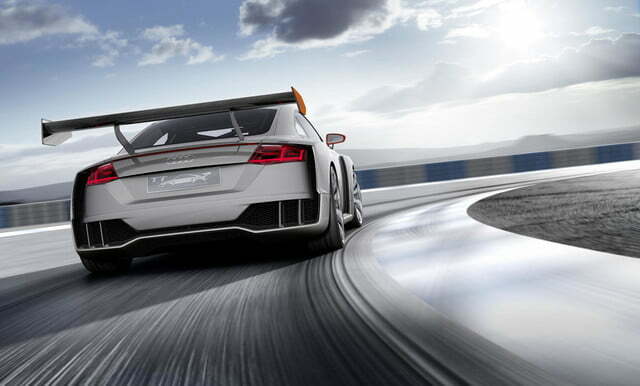 Power is sent to all four wheels via a six-speed manual transmission and Audi’s famed quattro all-wheel drive system. Audi boldly promises the electric snails virtually eliminate turbo lag. 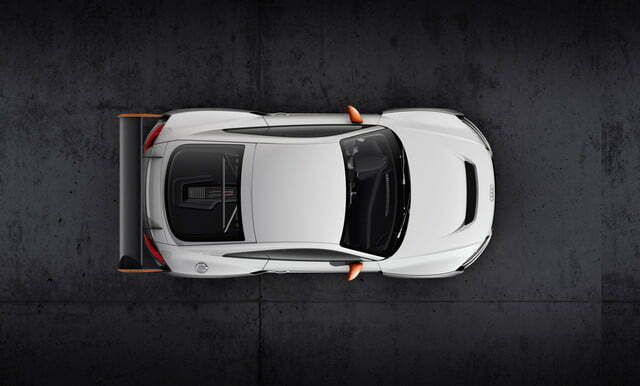 As a result, the clubsport turbo technology concept can sprint from zero to 60 mph in 3.6 seconds, while the straight-five screams all the way to 192 mph. Carbon ceramic brakes safely bring the action to a stop. The extra power is complemented by an aggressive look that pays a discreet homage to 90 IMSA GTO that raced during the 1980s. 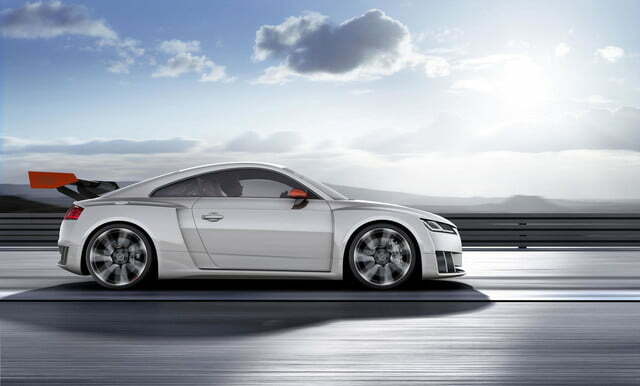 Starting with a stock third-gen TT coupe, Audi has added large fender flares with vents designed to cool the brakes, a new bumper with big air inlets and vertical fins, Matrix LED headlights and a manually-adjustable rear wing. The front splitter, the rear air diffuser and the fender flares are all crafted out of carbon fiber. The cockpit has been spruced up with a pair of bucket seats upholstered in orange Alcantara, four-point racing harnesses, a motorsport-inspired three-spoke multi-function steering wheel and a track-focused version of Audi’s fully digital virtual cockpit. 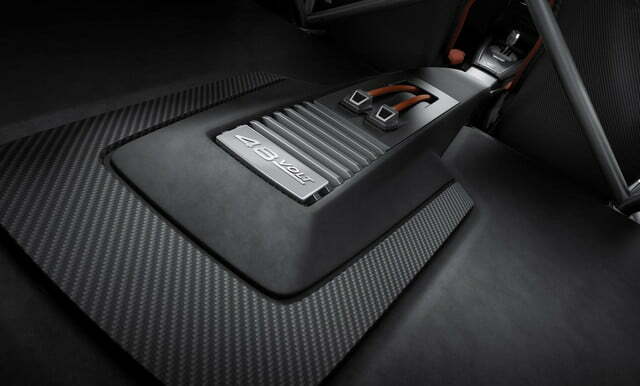 A sprinkling of real carbon fiber trim adds a sporty touch to the overall ambiance. 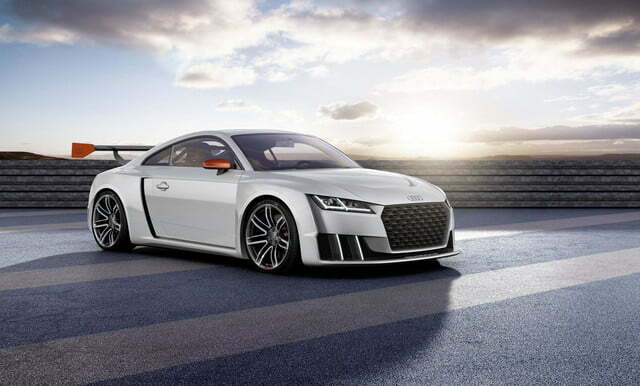 Audi is not expected to give the TT clubsport turbo technology the green light for production anytime soon, the concept was built only to be displayed at the Wörthersee show. However, look for the coupe’s electric twin turbos and the 48-volt electrical sub-system that powers them to make their way under the hood of regular-production Audis in the next year or so.